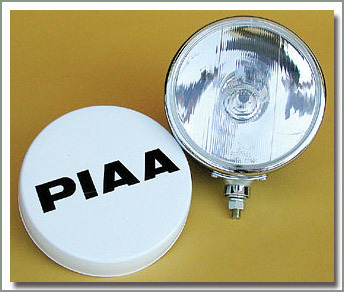 PIAA Super White technology emits a beam of light that is whiter & brighter than the standard bulb of the same style. 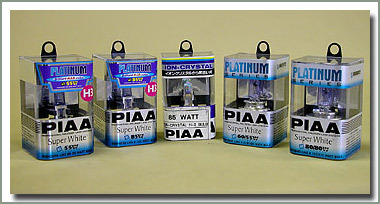 Most nearly reproducing the characteristics associated with natural sunlight, the Platinum Series of replacement bulbs set the NEW standard in design, application & performance. 'Super White' technology features a high power XTRA Halogen Bulb, approaching the brightness and intensity of High Intensity Discharge (HID) lamps at a fraction of the cost. The XTRA technology allows the bulb to burn brighter using less amperage. When you see the listing '55=85' it means that the bulb uses the amperage of a 55 watt bulb but has the intensity of an 85 watt bulb. 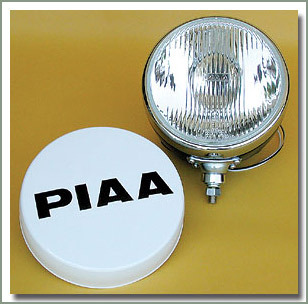 PIAA’s Ion Crystal Bulb transfers white light into amber with no loss of candlepower which means 30% brighter than standard amber bulbs. Sold each.